People are starting to pay attention. 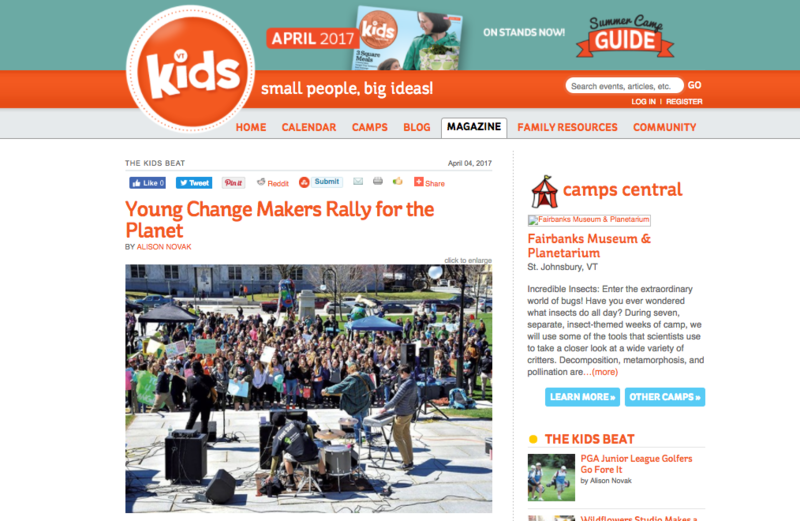 Check out some recent news articles about the upcoming Youth Lobby Rally for the Planet! MONTPELIER — Hundreds of students will descend on the Capital City on April 12 for the second annual Vermont Youth Rally to combat climate change. Organizers expect a strong turnout this year because of growing opposition to the Trump administration’s policies on climate change. Between 500 to 2,000 school and college students are expected to converge at Vermont College of Fine Arts on College Street. Students will have a chance to make signs and learn more about climate change before marching down East State Street for a rally at the State House at 10 a.m.
Student lobbyists from each school represented will have the chance to speak with their state representatives on climate-related issues, and it is hoped guest speakers will include Vermont Congressional delegates and 350VT leader and climate activist Bill McKibben, if their schedules allow. “The students love Bernie, so if he was able to attend, it would probably double attendance,” said Henchen. The rally will include musical performances and support organizations will have tables and booths on the State House lawn with information on climate change strategies and initiatives. There will also be refreshments and free Ben & Jerry’s ice cream. Objectives of the event include pressing for conservation and efficiencies in energy use, putting a price on carbon, promoting regulatory action to encourage alternative energy programs, ending the privileges of the fossil fuel industry, and increasing awareness among youth and others about climate change and related issues. “For more than a decade, students and teachers from across Vermont have formed environmental clubs and green teams to improve composting, reduce water usage, and improve overall energy efficiency of their schools,” according to the Youth Lobby website. “Over the past 15 years, there have been over 1,200 energy efficiency projects at 350 schools which have saved Vermont taxpayers over $43 million dollars. “However, there is a growing awareness that the problem of climate change is going to require more than simply making our homes and schools more energy-efficient. It will also require our political leaders to take more bold and dramatic actions to address these critical issues,” the website states. Henchen said the Vermont Youth Lobby movement was born about three years ago during a sophomore Creating Sustainable Communities course he teaches at Harwood Union High School. “I was teaching the kids about lobbying, and a student asked if (youth) have a lobby, and we were shocked to find that they didn’t,” Henchen said. That same year, his students went to a fossil-fuel divestment debate at the State House organized by 350VT. “My students came back very frustrated and asked, ‘What more could we do?’” Henchen said. His students decided they needed to involve other students to increase their reach and strength in numbers, and identify a cause to adopt — settling on climate change. “So the Youth Lobby was born, and last year we had the first climate change rally,” Henchen said. 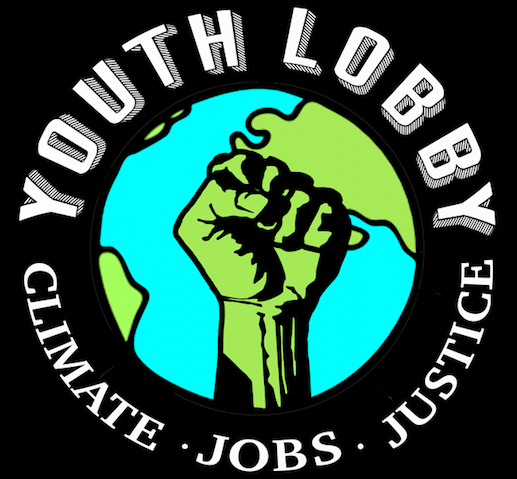 The Youth Lobby action committee has since reached out to dozens of high schools and colleges across Vermont, joined forces with the Vermont Public Interest Research Group and 350VT, and launched a broad outreach on social networks. For more information about the rally and Vermont Youth Lobby, visit: www.youthlobby.org.